Colored_Clasp__Open_End_Envelopes is rated 4.4 out of 5 by 58. Rated 5 out of 5 by Female Diamond from Equally Satisfied! I've been a Jam Paper customer in store for several years. My online order was just the same. I always appreciate the variety of color, size, and quantity I can purchase, and the delivery to my door arrived perfectly. Rated 5 out of 5 by Siciliana24 from Quality Product I purchased these to use for a game at my wedding. My package arrived quickly and the envelopes are well-made and the color beautiful. Rated 4 out of 5 by Don Diva from Dark Red 6x9 Open End Envelope We mailed 300 books small books with sharp edges in this envelope and it has survived the post office's return mail torture. Good quality. Rated 5 out of 5 by JHTNYC from Exactly what l was hoping to receive The green was great for books given as Christmas presents! Will be back for more when these run out. Rated 5 out of 5 by BAP9 from Love it! Durable, professional-looking, crisp. We love these envelopes. We have multiple shipping options available at checkout, including a &quot;next day air option&quot;, a &quot;2nd day air option&quot;, and a UPS 3 Day option. Can I get a price on qty: 500, 11.5 x 14.5 GREEN, catalog (no clasp) envelops? We only have brown in that size. Sorry for any inconvenience this may cause. We do have it in 10 x 13 which would be $225.00. Are these envelopes durable enough to be used multiple times? Need to use them for a school sending items back and forth from parents to the school. Do these come in&nbsp;self-adhesive closure? The open end envelopes are self-adhesive, yes. The clasp envelopes have a metal clasp closure. We can give you the pantone code for each. Our Aqua is 746U and our light green is 366U. Hope this helps! what is the finish on this envelope, linen or smooth? These envelopes all have a smooth finish. Do these pass shipping requirements when filled with thicker objects (ex: tea towels)? As long as the item fits, it will ship. However, these envelopes expand at maximum about 0.5 inches, so keep that in mind! Can these envelopes be order with IMPORTANT DOCUMENTS ENCLOSED printed on them? If so, what would the cost be? Unfortunately we do not do any custom printing - you would have to take them to a printing service. Sorry for any inconvenience. Why use boring grey or manilla envelopes when you can use color? 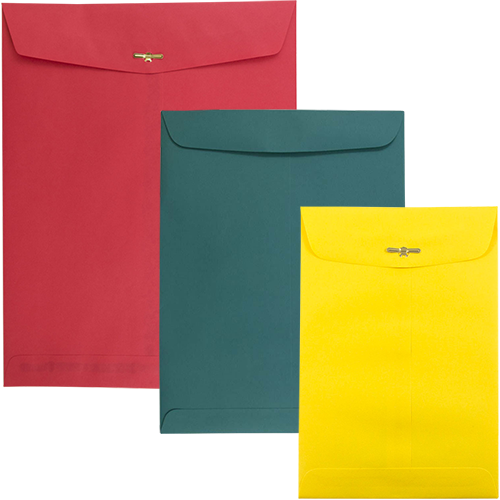 Our original color clasp envelopes are sure to attract attention and deliver in style! These anti-manilla mailers, sometimes called catalog envelopes, are made from 28lb paper. Fitting for any office or school setting, these envelopes are popular amongst teachers, students, and office administrators who just want to spice up their mailings a bit. Every envelope on this page opens on the SHORT SIDE of the envelope. CLASP envelopes have a gum and a metal clasp. The OPEN END envelopes (no clasp) just have a gum. These catalog envelopes are essential for your next mailing. Clasp envelopes and open end envelopes are available in (inches) 6 x 9, 9 x 12, 10 x 13, 11 1/2 x 14 1/2, 12 x 15 1/2, & 15 x 18. Clasp envelopes and open end envelopes are available in Chocolate Brown, Ultra Pink, Pink, Baby Blue, Lemon, Green, Blue, Red, Yellow, Greenbriar, Orange, Navy Linen, Violet, Ultra Fuchsia, Presidential Blue, Sea Blue, Ultra Lime, Ultra Grape, Black, & Brown Kraft Paper Bag. 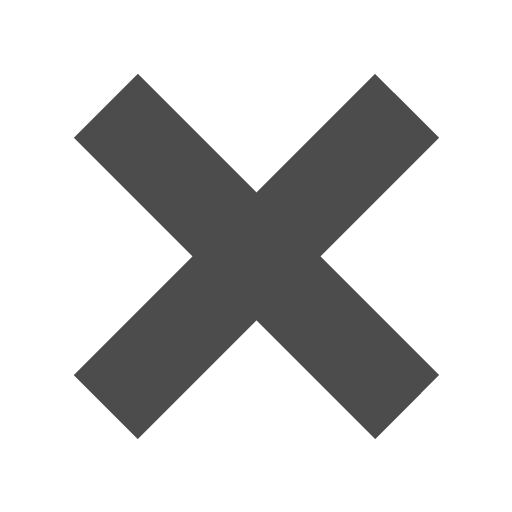 To change the product image, select a size and color.